Rhizopus stolonifer, Zygospore Kit is rated 1.0 out of 5 by 1. The Zygomycetes (or conjugation fungi) reproduce sexually by the fusion of gametes from 2 opposite mating types (+ and –) to form zygospores. Our zygospore kits are excellent for demonstrating both zygospores and the asexual stages of these fungi. The Zygomycetes (or conjugation fungi) reproduce sexually by the fusion of gametes from 2 opposite mating types (+ and –) to form zygospores. Our zygospore kits are excellent for demonstrating both zygospores and the asexual stages of these fungi. A stereomicroscope is required. The exercise will take up to 7 days from setup to completion. 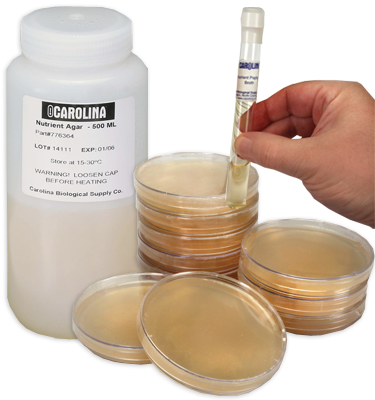 With culturing instructions, 2 tube cultures (+ strain and – strain), 10 plates of appropriate mating agar, fixing solution, an inoculating needle, and an autoclave disposal bag. Rated 1 out of 5 by kg85 from contaminated twice, also did not work I ordered this the first time and more than half of the plates were contaminated. I was shipped a replacement (that process was easy and staff were helpful). The plates were contaminated again. The class used the five plates that seemed OK and set up the cross. One strain seemed to overwhelm the plate - we saw lots of asexual spores but no zygosponres. So, a failure on two levels.